Linda is a Usui, Holy Fire® III and Karuna Reiki® Master Teacher, Magnified Healing Master Teacher, IET Master Instructor, Certified Angel Reader and an ordained Reverend in the Healing Fellowship of the Unified Mother-Father. Her training also includes Crystalline Sound Reiki and Aromatherapy. She teaches classes at the DHMC Women’s Health Resource Center, Lebanon, NH, Heart & Body Wellness, White River Jct, VT and at AngelStar in Newport, NH and Lake Wales, FL. Linda has a great love of animals and also teaches Animal Communication. Learning Reiki from Linda Carley was like letting the sunshine burst through the darkness, enhancing the beauty of all surroundings. Linda is the perfect guide for providing a renewed sense of peace and faith in the unconditional love of the Universe. 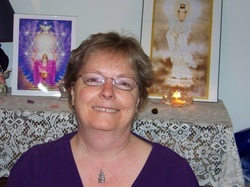 Linda accepts her students as they are, allowing for each unique journey to becoming attuned to Reiki. It is empowering to receive the gift of Reiki to help increase the Universal Life Energy flow for the highest healing good of ourselves and others. I am forever grateful to learn from Linda's knowledgeable, gentle, loving spirit. I met Linda in 2012. Extreme health issues that seemed to be manifesting in my abdominal area (solar plexus). I knew in my soul that feeling better was possible. I had tried traditional medicine, acupuncture, talk therapy which did help to a certain point, but continued to search for a different way. I saw that the DHMC Women's Health Center offered Reiki via Linda Carley. I quickly made an appointment. Our first session was AMAZING. Miraculous! After the hour long session I felt more energy than I had for years and the nervous energy I had been holding in my abdominal region, making me so ill had released. It was like being reborn. Five years later I continue to be a believer in the Reiki miracle. 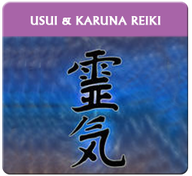 The Reiki philosophy prompted me to make some very big life changes that resulted in a healthier and happier me. There are no adequate words to thank Linda for sharing her gifts, friendship and kind mentoring over the past five years.